Bonfire night’s fizzled out for another year, which means we can set our sights on Christmas and fully embrace the festive build-up. Nothing sums up this time of the year more than a cup of steaming hot chocolate. Although this alpine palace on Peter Street is popular all year round, it really comes into its own in the winter months when the fire’s burning, and the smell of seasonal schnapps fills the air. It prides itself on its extensive bar menu but there are plenty of non-alcoholic options, including the Schloss hot chocolate. A rich and indulgent drink made with pure Belgian milk and dark chocolate, it’s served with a biscuit and a burnt marshmallow. Sit back in one of the cosy alcoves for a bit of rest and relaxation, or if it’s later in the day, grab a pew with a view of the stage to see what’s going on. For a little respite from the chill, head to Pot Kettle Black in Barton Arcade, the Victorian shopping enclave close to Deansgate and St Ann’s Square. 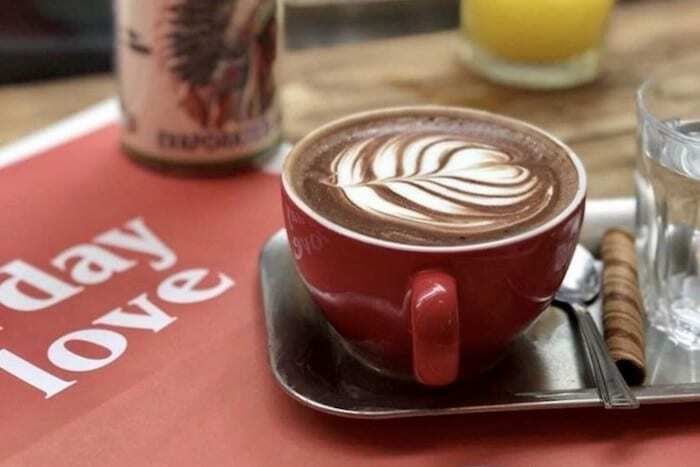 Although they pride themselves on their brews and bakehouse, this place also rustles up a delicious hot chocolate, which is vegan friendly, as well as gluten and dairy free. There’s a choice of alternative milks, including oat, soya, almond and coconut for an added twist. 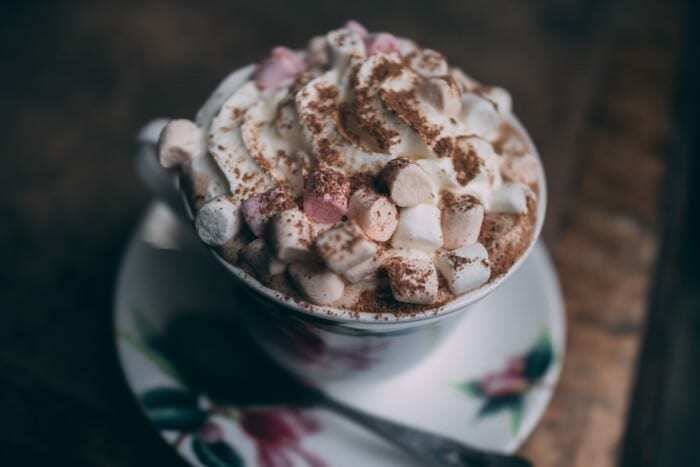 Or, if you’re looking for a something a little naughtier, then there’s a boozy option, which is the standard hot chocolate with a shot of Baileys, Amaretto or Frangelico. Just the thing to warm the cockles before heading out into the cold. Born from many a day spent selling artisan foods at market stalls across the north west, the team behind Trove opened their first café in Levenshulme in 2011, followed by a second place in Ancoats last month. 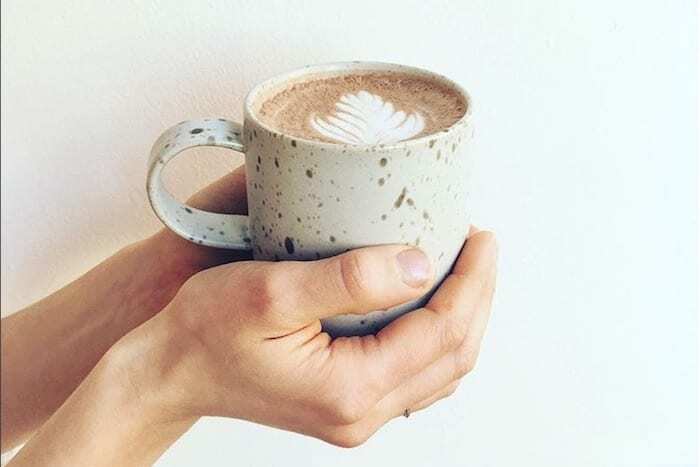 Within the Scandi-inspired walls, everything is handmade, including the sea salt hot chocolate, which is made from scratch using organic dark chocolate, cocoa powder, sea salt flakes, cinnamon and sugar, mixed into a paste and steamed with organic whole milk. 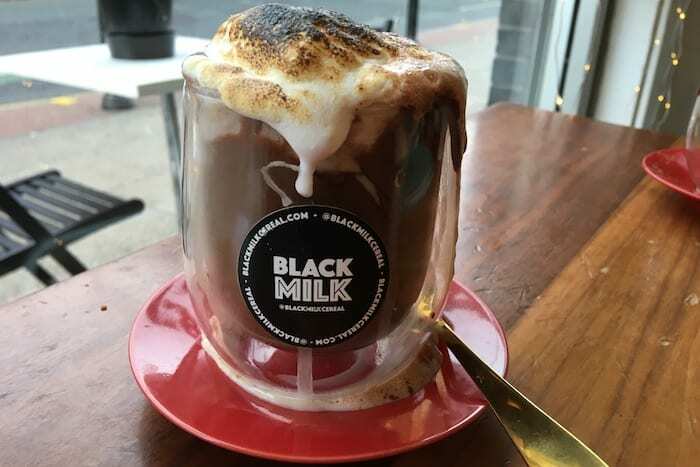 You can also order a malted milk hot chocolate or add a splash of rum or whiskey. There’s a real neighbourhood feel about these cafés, so grab a chair and get chatting over your hot choc. 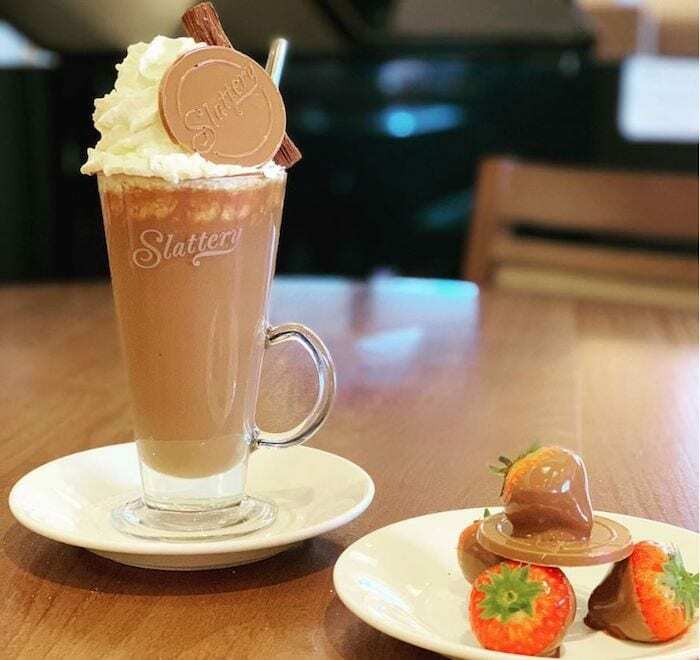 This family run chocolatier and cafe in Chorlton is a fine spot for a beautiful hot chocolate made with real chocolate buttons that are melted and frothed with milk to give it a smooth and airy texture. There are milk and white chocolate options, as well as dark, which is dairy free and can be made vegan with a choice of almond, coconut and soya milk. 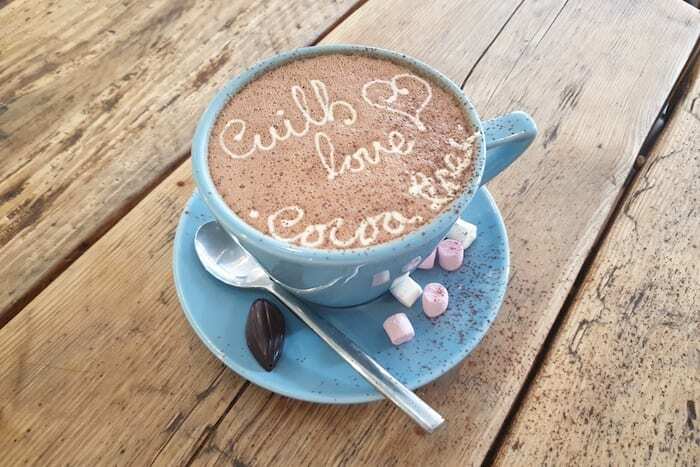 A personalised message is piped on the dairy hot chocolates and every drink comes with a chocolate on the side. Caramelised hazelnut praline paste, gingerbread syrup, homemade salted caramel or organic orange extract can be added, as well as whipped cream and marshmallows, depending on how indulgent you want to be. Whenever you pop in this café on Oldham Street, you’ll see people papping their drinks because these creations are made for showing-off. If it’s not a slice of cake precariously dangling off the top of a freakshake, it’s a slab of cheesecake or a portion of brownies. That said, their hot chocolates are relatively understated in comparison but they’re bursting with taste. Choose from fruity pink, caramel or milk chocolate, and then watch as a glass is coated with the melted chocolate and filled with searing hot milk. 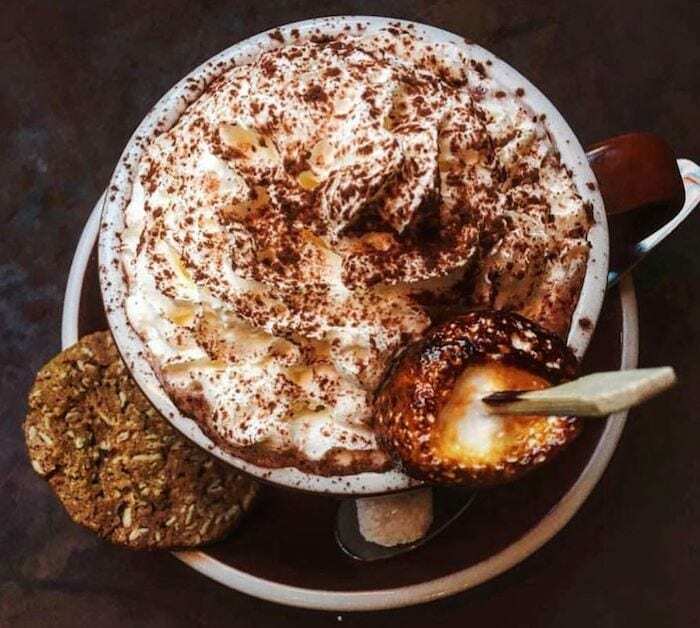 For an extra shot of sweetness, go for the Fluff hot chocolate with its generous spoon of fluffy marshmallow that’s toasted for gooey goodness. 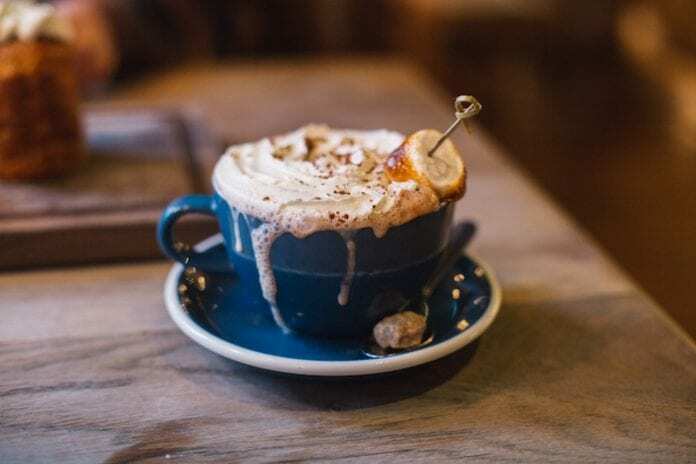 For vintage vibes, take a step back in time at this little café in the Northern Quarter, which is close enough to Piccadilly Gardens that it isn’t a mission to find but far enough away to provide some peace and quiet. This place is known for its old school afternoon teas and in keeping with the theme, the hot chocolate, which is topped with whipped cream and marshmallows, is served in a delicate china tea cup that harks back to a more genteel time. For something extra special, try the spiced hot chocolate or the Baileys version for an extra kick. The tricky part will be forcing yourself to leave this cosy little cocoon and face the crowds once again.